Home Opinion Avnery, Who the Hell Are We? Avnery, Who the Hell Are We? 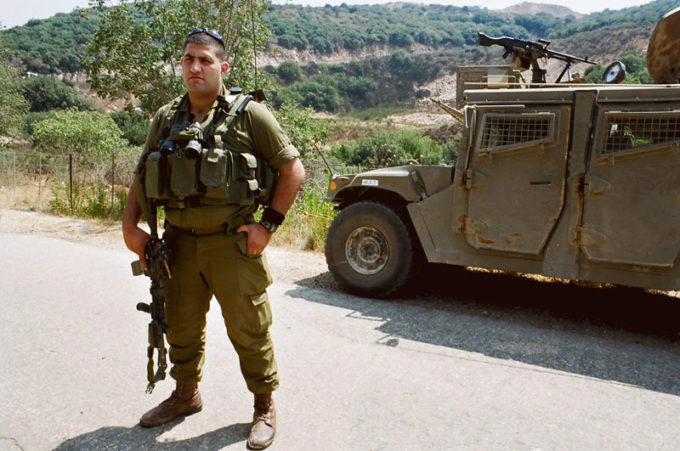 A Druze officer in the Israeli Defense Forces. The Knesset just moved to strip the members of this community of their rights and nationality. Wikimedia photo by Kika Sso. The Druze are a small and close-knit minority. They send their sons to serve in the Israeli army and police and consider themselves “blood brothers.” Suddenly they have been robbed of all their legal rights and sense of belonging. The Arabic language with all its splendor, which until now was one of the two official languages, was demoted to a mere “special status,” whatever that means. Years ago, my friends and I asked the Supreme Court to change the “nationality” entry in our identity cards, from “Jewish” to “Israeli.” The courts refused, stating that there is no Israeli nation. The official register recognizes almost a hundred nations, but not an Israeli one. The most extreme were a small group of young poets and artists, who in 1941 formed an organization nicknamed “the Canaanites,” who proclaimed that we were a new nation, a Hebrew one. In their enthusiasm they went to extremes, declaring that we have nothing to do with Jews abroad, and that there was no Arab nation — Arabs were just Hebrews who had adopted Islam. So why does the Declaration of Independence speak of a “Jewish State?” Simple: it was alluding to the UN resolution which decreed the partition of Palestine into an Arab and a Jewish state. The founders simply stated that we are now setting up this Jewish state. First of all, there was the huge immigration from the Arab world and Eastern Europe in the early fifties — for every one Hebrew there were two, three, four new immigrants, who considered themselves Jews. And then there was (and is!) a rigorous government policy of Judaization of everything. The present government has reached new heights. Active — even frantic — government actions try to Judaize education, culture, even sports. Orthodox Jews, a small minority in Israel, exert immense influence. Their votes in the Knesset are essential to the Netanyahu government. Uri Avnery, who was wounded fighting in the Israeli war of independence, twice served in the Knessett. He is the senior founding figure of Gush Shalom, the Israeli Peace Bloc.